Having been rear-ended not once but twice in the same month by teens who were texting and driving, I have a renewed interest in and alarm about the behavior. Never mind that being crashed into at 50 miles an hour turned some more of my hair gray. Never mind the inconvenience of having the car in the shop for a week at a time. Never mind the expense. We got off easy. The teens in question only got scared, not hurt. Bumpers can be fixed. A little hair dye will cover my gray. But we and the teens may not all be so lucky next time. Sadly, there probably will be a next time unless texting and driving is made illegal and the law is rigidly enforced. Lest you think it’s no big deal, consider this: The National Highway Traffic Safety Administration reported in 2008 that driver distraction was the cause of 16 percent of all fatal crashes — 5,800 people killed — and 21 percent of crashes resulting in an injury — 515,000 people wounded. That was now four years ago! More teens than ever have cell phones. Chances are more teens than ever are finding it impossible to resist the urge to read or respond to texts while behind the wheel. 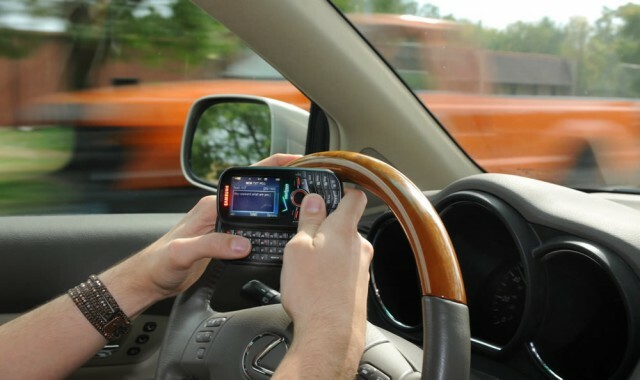 According to the American Automobile Association, nearly 50 percent of teens admit to texting while driving. Not good. Scary. So why, oh why, do teens persist in testing while barreling down the road at 50 miles an hour (or more), despite warnings, admonitions, and threats by parents and other concerned adults? Why don’t those “X the Text” public service announcements make an impression? What’s so compelling about the latest tidbit of teen connection that it is worth risking a wreck? Denial. Teens are great at denial. They think they are invincible. They have a puffed-up sense of their own importance, competence, and invincibility. Adolescence is a time of increasing independence and an increasing belief that grownups and their opinions – even their opinions about safety – aren’t relevant. Underdeveloped impulse control. You’ve probably heard about it. The frontal lobe, the part of the brain that governs judgment and decision-making, doesn’t fully develop until the late teens and early 20s. That’s why teens are particularly likely to do crazy, risky things. They don’t stop to think because the part of their brain that puts on the brakes isn’t reliable. Our teens don’t like it but they need us to provide the brakes until theirs are fully operational. Myth of being a multi-tasking master.Our kids are growing up in a multi-tracked, multi-tasking world. They are often listening to music, texting their friends, and doing their homework while watching TV – all at the same time. They have an inflated idea of their competence at keeping track of everything at once. The trouble is that every task takes on equal importance.This is fine when they’re watching a rerun of “South Park” while texting friends. It’s not at all fine when texts are as important, or even more important, than what’s going on with the traffic. In the moment a text comes in, the urge to read it is as strong as the need to keep their eyes on the road. This is an accident waiting to happen. Overconfidence as a driver. When my kids were new drivers, I actually wished they would get into an accident serious enough to scare them but not so serious that they’d get seriously hurt. I knew parental lectures weren’t getting through.Be careful what you wish for. Three of my four kids totaled cars. Fortunately they, and the people in the other cars, walked away from those crashes unhurt. In two of the three cases, the kids were not at fault. That didn’t matter. They got the message and sobered up about the reality that accidents happen even to people who are doing what they should.I dearly wish there had been another way to get their attention. But like most teens, they were sure they would never get into an accident; that they were so good at driving that a fender-bender was the most they’d ever have to deal with. Risk-taking high.Taking risks is an adrenalin rush. Taking risks and escaping by a hair’s breadth makes the blood run and impresses friends. Teens can get enamored of risky business because squeaking by feels great! (It’s the same reason people ride roller coasters even when they’re scared to death. )Teens go skiing down trails that are beyond their skill level. They ride bikes pell-mell down rocky hills with no bike helmet. They are suckers for a dare. Unfortunately, they also sometimes like the high of speeding down the highway at 80 or playing chicken. Remember that impulse control issue? That plus the surge of adrenalin that comes from being scared is a recipe for stupid behavior. First and most important, we need to model good driving behavior. If your cell phone rings, ignore it or pull over. There are few calls that are so important that they can’t be responded to a few minutes later. If you need to make a call, pull over or ask that teen who is sitting next to you to make the call for you. A picture really is worth millions of words. Show your kids that your mind, eyes, and hands need to be on the wheel, not on the phone. You’ll have no credibility at all with the kids if you demand they treat their phones differently than you do. Teens may not have good judgment or impulse control, but we do. If they can’t show they are able to exercise self-control, they need parents to be clear that they’ll provide it. There is no rule that our kids are entitled to drive our cars. If they need the car to get to a job or to school or to a game, it will be even more impressive if they have to do without it for a week or so if they break the rules. Make it clear that one infraction, just one piece of evidence that they couldn’t resist the call of the cell phone, will mean the loss of both for a good long time. Then stick to it. Your teen’s life may depend on it.